I guess I am just in the mood to watch Jim Carrey during his holiday films. 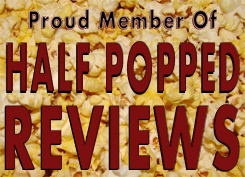 Last time, I reviewed “A Christmas Carol”, and a little before that, I reviewed “Mr. Popper’s Penguins“, this time around it’s “How the Grinch Stole Christmas“. Funny story, I’ve actually seen the real Whoville town in Hollywood, behind the actual Bates Motel of “Psycho” (cool story there, but I’ll refrain). You can pretty much tell that they replaced the Bates house with the Grinch’s mountain. The Grinch (Jim Carrey) hated Christmas, the whole Christmas season, now please don’t ask why, no one quite knows the reason. Everyone knows the story of the Grinch, well…where it came from. They expanded the story for this film, because it would take about 20-30 minutes to tell the original story (I know because I saw the original cartoon). Well, we know that the Grinch plans to steal Christmas, but first off, he gets comfortable by pranking the towns people in various ways. We are then introduced to the Grinch’s backstory, and why he actually hate’s Christmas, and you know what? It makes sense, you actually feel bad or the little green fella. 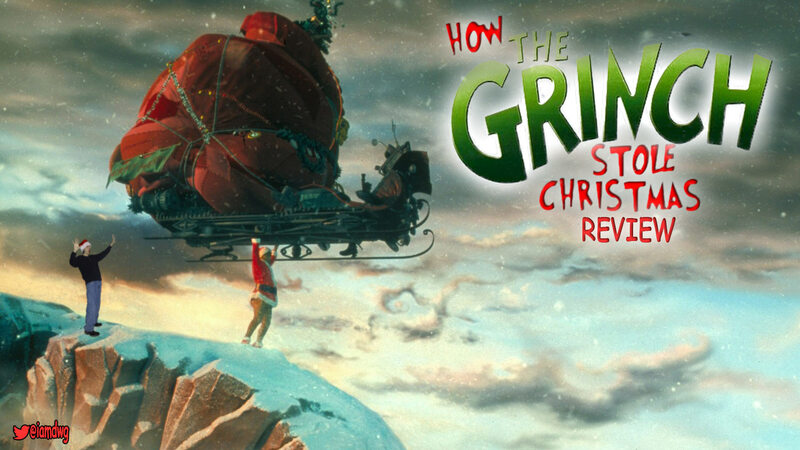 It’s called “How the Grinch Stole Christmas”, but a more proper title might be “Why the Grinch Stole Christmas”, as the film focused highly on the Grinch’s character, what happened to him, and why he is how he is. It does tell you how, but that is pretty much common-sense territory. When he does get around to the “stealing Christmas” part, there is a lot of shout outs to the original cartoon. The side story with the Christmas extravaganza dealt a lot with the interacting neighborhood of Whoville. It’s not the side story I have a problem with as much as distracting the audience from more Grinch scenes, because it is truly Carrey that makes the movie, bringing life to a classic famous Christmas character. I actually love, and prefer Jim Carrey’s hilarious rendition of “You’re a Mean One, Mr. Grinch”. When you watch it again looking for deep, meaningful messages, you actually find there are some good messages, especially in the backstory. You will notice the backstory had a lot of bullying based on closed-minded prejudice. The bullying pretty much ends during the Grinch’s backstory, the prejudice continued on until the point where everyone was afraid of the Grinch. Other reviews might tell you that you’re better off watching the cartoon, but I respectfully disagree. It does have the true meaning of Christmas, it does have meaningful messages of prejudice, and it is hilarious, don’t even try to say it’s not. SIDE NOTE: Anthony Hopkins was the narrator. That’s hilarious. Also, sorry that this review is so short, I’m in a rush. I normally like Ron Howard’s work but found myself really disliking the film. I thought the movie was pretty irritating. Still, I’m glad you enjoyed this one. Nice review. The photography was really bad too, with soap opera lighting shot to video look. I think this movie is spectacular. One of the best movies ever made.